We opened TucsonEV in late 2010 and started to sell J1772 Plugs and Inlets. 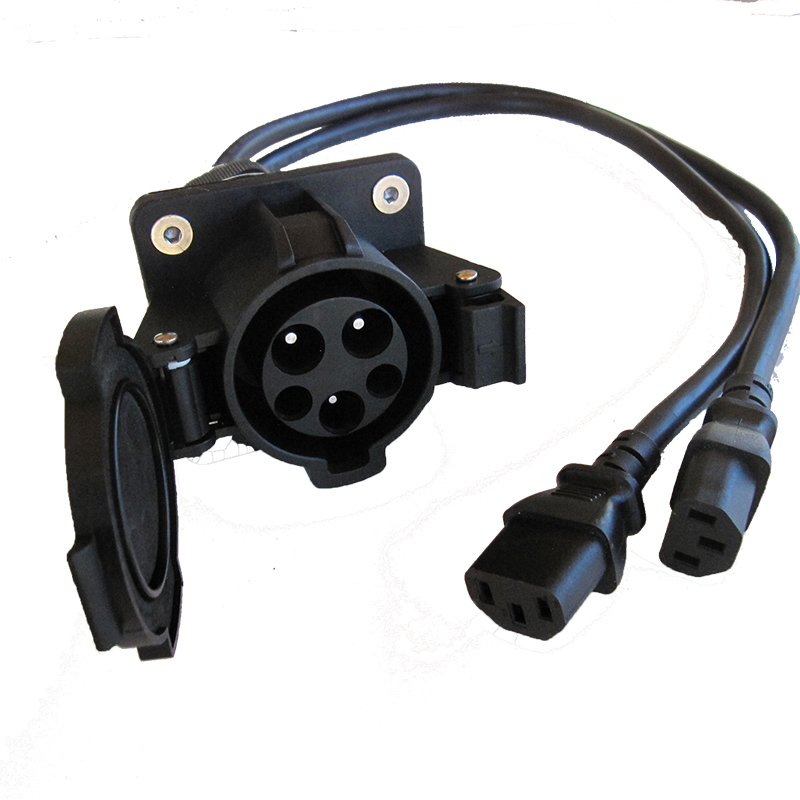 In 2011 we developed the J1772 Adapter Box so that people with conversions could use the EVSE's. 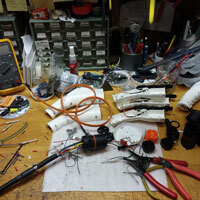 We also consulted with Dostar to finalize the Proximity circuit that is presently in their J1772 Plug. 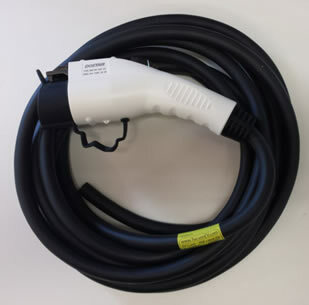 In 2012 we introduced the J1772 Extension cord because we saw the need for a longer cord so that people who were 'iced' could charge their EV's. 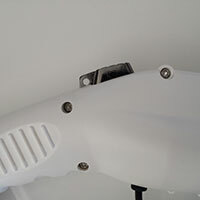 Please note that all the power and ground connections to the pins in the plug and inlet are crimped with an industrial crimper to Mil Spec standards. The crimper exerts a 11-ton force and does a four barrel crimp. An industrial crimper is used to crimp the 2 power, 1 ground and 2 sense pins of the Plug. It crimps to Mil Spec in a 4 indent pattern with a 6 ton crimping force. Price is $90, US ground shipping is included, email us for International shipping TucsonEV (EV at TucsonEV dot com). If you need a larger quantity, let us know, we can do that for you. Similarly to the J1772 Plug an Industrial type crimper is needed to crimp the wires into the 2 power and ground pin. The 2 sense pins can have the wires soldered. Price is $65, US ground shipping is included, email us for International shipping TucsonEV (EV at TucsonEV dot com). 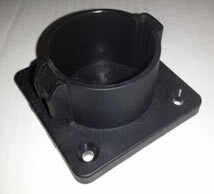 The J1772™ Adapter box is used to connect an OEM Level II J1772™ EVSE, to a NEMA receptacle. 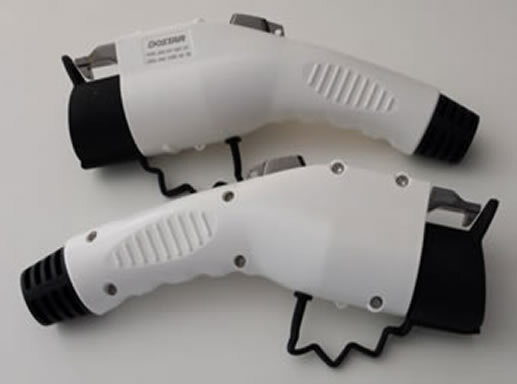 If you have a 240vac charger in your EV and want to connect to a J1772™ charging station, you can use the J1772™ Adapter Box to charge your EV. 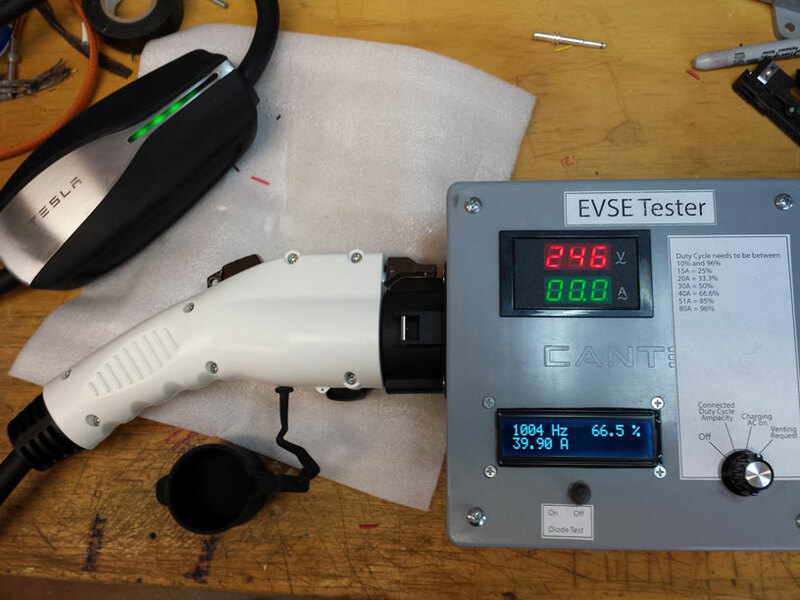 The Adapter Box contains a pilot signal generator that enables the 240vac in the EVSE. Please note that Level II is 240vac only, not 120vac. All pin connections are crimped to Military Specs. 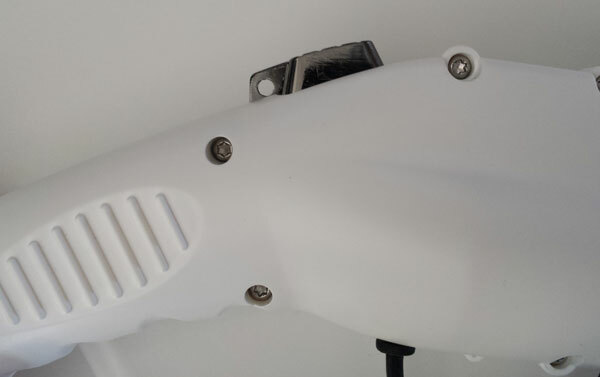 - We can also put a Security Handle on the side so that you can lock up the Adapter Box if needed. The EVSE needs to see 2 signals before it will initialize charging, the OFF position supplies one signal and the ON position supplies the 2nd signal to close the EVSE contactor so that power is supplied and the LED comes on. 3 ft of 10AWG 3 wire cord (for connection to a 240vac charger only), 2 hots and a ground. (8AWG available upon request). OFF for when J1772™ is plugged in and not energized, LED off. ON for charging, LED is on. When charging is finished and you want to unplug, turn switch to OFF and unplug J1772™. 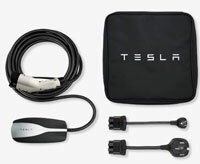 The switch simulates the two states required by the J1772™ specification for connecting an EV to the EVSE: With the switch in the OFF position, it sends a signal to the EVSE that says 'a car is plugged in and not ready to accept energy'. With the switch in the ON position, it sends a signal to the EVSE that 'a car is plugged in and ready to accept energy'. When the switch is in the OFF position, the 'ready to charge' pilot signal is not present. The EVSE will not close its power contacts or if closed the EVSE will open its power contacts when the 'ready to charge' pilot signal is not present or the Pilot signal is opened. Per the J1772™ standard, the pilot pins are shorter than the power and ground pins. When the plug is pulled from the car's inlet the Pilot signal is interrupted first. Since the EVSE monitors the Pilot pin connection, the EVSE opens its power contacts to prevent arcing across the power pins. 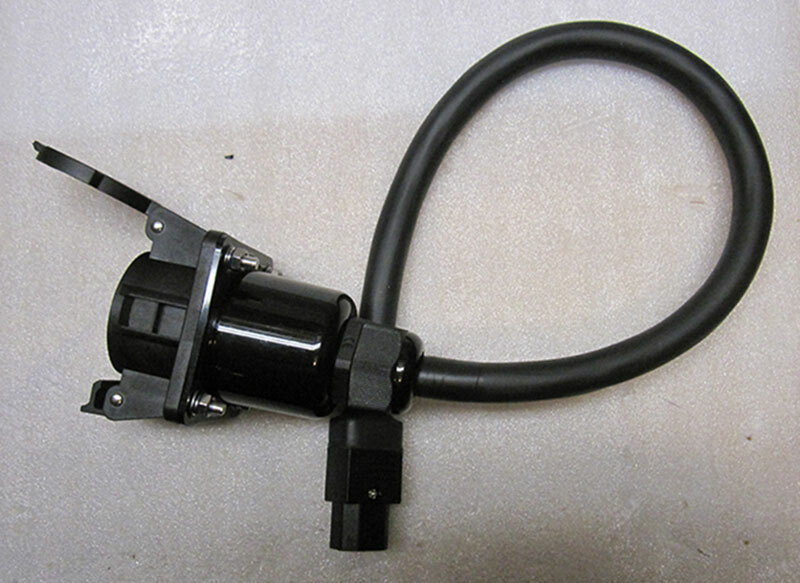 In addition, on a car that complies with the J1772™ Protocol (such the Nissan Leaf or Chevy Volt), the opening of the latch on the J1772™ Plug initiates a controlled shut down of the charger in the EV. 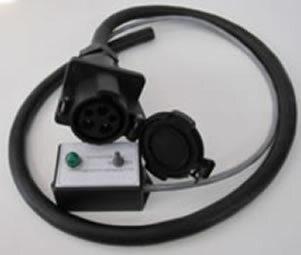 When the plug is pulled from the car's inlet there is no power circuit for the energy to flow; therefore, no arcing can occur on the connector power pins. This is a double safety to prevent opening the connection under load. The switch can be used by the user to immediately initiate a shutoff of power to the vehicle from the EVSE, The user can turn the switch to the OFF position and the EVSE will open its power contacts thus interrupting the power to the vehicle. 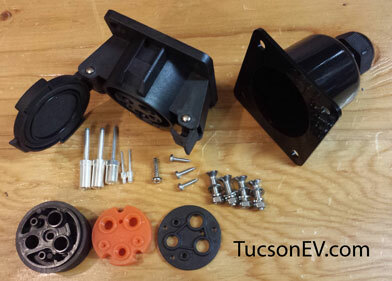 Price is $150, US ground shipping is included, email us for International shipping TucsonEV (EV at TucsonEV dot com). 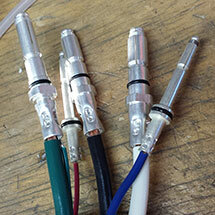 If you need a longer pigtail or want a certain NEMA plug on the end, let us know, we can do that for you. This is an alternative to the J1772™ Adapter Box. It has the same specs, switch and LED as the J1772™ Adapter Box but without the 4x4x2 Cantex Box. 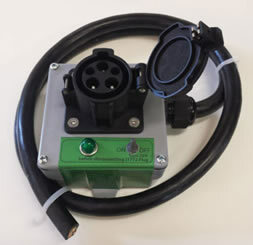 The Pilot Signal generator is in a separate box on an 18" cord so that the Inlet can be installed in the 'gas cap' area and the switch in another location. All pin connections are crimped to Military Specs. 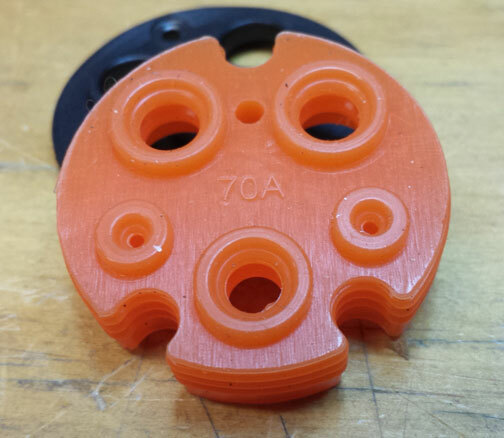 Holes are drilled for the J1772™ Plug using a supplied Template. Then the Pilot Box hole is made by filing out the template of the Template for Pilot Box which is superimposed over the J1772™ Plug. The 4 hex bolts and nuts are removed from the 4 holes holding the Plug and Strain Relief together, DO NOT separate them. The 10 AWG cord is put thru the hole and then the Pilot box is put thru and the Inlet is then screwed into place using the 4 hex bolts and nuts. 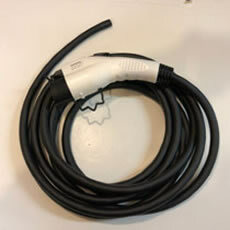 The Pilot Box can be attached in an appropriate location in the trunk and the 10AWG cord is attached to the charger (8AWG available upon request). Price is $165, US ground shipping is included, email us for International shipping TucsonEV (EV at TucsonEV dot com). 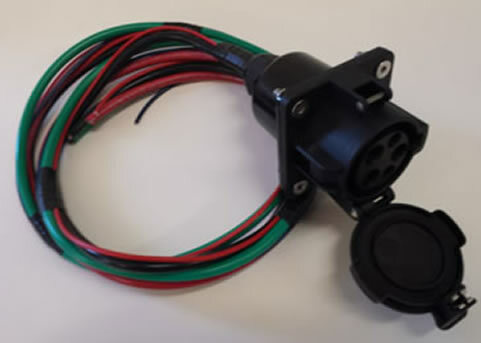 If you need a longer pigtail or want a certain NEMA plug on the end or want a longer cord on the remote Pilot Box, let us know, we can do that for you. - Pilot signal wire and Proximity signal wire connected. - All pin connections are crimped to Military Specs. I can also make this with 8AWG wire so that the rating is 40A. This is with 105 deg C wire which has a higher Amp rating than 90 deg C wire. If you need a longer cord length, other modifications or larger quantities, let us know, we can do that for you. US ground shipping is included, email us for International shipping TucsonEV (EV at TucsonEV dot com). - 20 ft of UL certified EVE Cord (black, white and green wire, 10 AWG and 1 sensor wire, 22 AWG), rated to 105° C.
Note - If you require a longer length of cord, add $2.50 per foot. Price is $125 for a 20ft length. We can make it in any length you want, we buy the cord in reels of 1000 ft. The cord is made in the USA and is UL approved EVE cord. Let us know what length you need and we will send you a PayPal invoice.. This is for all Zero Motorcycles so that when you're riding away from your home connection, you can use the J1772 Level II EVSE's that all Electric Cars are using. The Inlet housing contains a pilot signal generator that enables the 240vac in the EVSE. Please note that 99% of the J1772 EVSE's are for 220/240vac and will not supply 110/120vac. It has a C-13 Plug on the end of it so it can plug directly into the on-board Universal Charger. 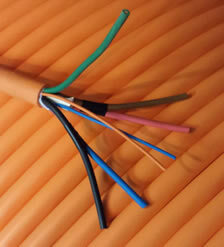 The wire in the cord is 14AWG so you can safely use it, the on board Delta-Q-QuiQ charger only requires a 16AWG cord. I can also provide C19 plugs. Just be sure that the total amperage of the combined plugs does not exceed the amperage of the EVSE you are using. 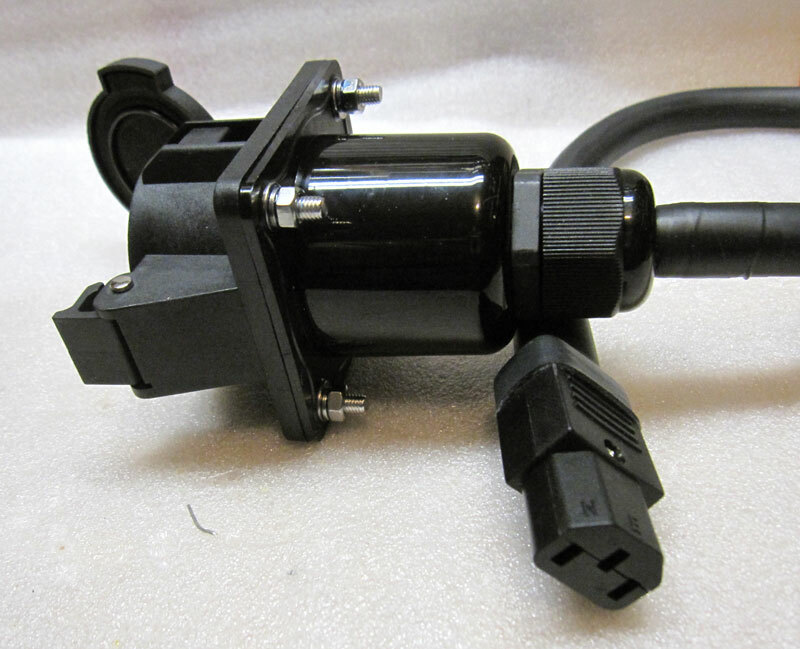 I can also add an extra 12AWG or 14AWG pigtail so that you can connect it to another type of charger, as long as the total amperage drawn does not exceed the rating of the EVSE (16A to 30A). Email me for more info.
. US ground shipping is included, email us for International shipping TucsonEV (EV at TucsonEV dot com). 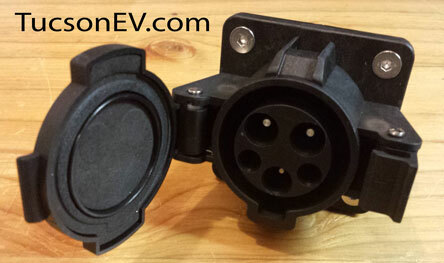 Do you have an AVCON EVSE with the old claw type head and want to change it out? Send me the Cord and Head and I'll do it for $110. Do you need a special NEMA plug or inlet put on some cord, I can do that.